The lensometer AL500 incorporates all of the features you would expect in an auto lensometer, as well as a color display, auto add-lock, built-in printer, and more. The elegant upright design fits easily into your existing workspace, while the tilting color display ensures clear glare-free viewing at any angle. Quick and accurate, the AL500 provides repeatable measurements for all lenses. Best of all, it's easy to use so there is little training required. 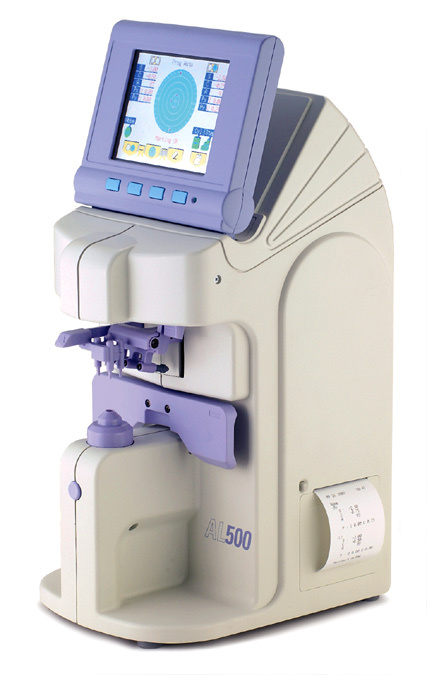 Are you done with the lensometer Reichert AL500? Go to lensometer.